Question.. How would you go about finding reputable transport for a horse? I have a friend who is looking, but having a hard time putting that much faith into a paid transporter. -Katelyn P.
It is good to be concerned when looking into horse hauling companies. Like anything there are good and not so good companies out there. While I was in college, in Ohio, I needed to have my horse hauled back to Maine for the summer. I asked around (I was at an equine college) and made calls but no one had any real answers. The best I could find was an ad in the back of a magazine. I called a couple until I found one that was going that direction. Scrapper, my horse, couldn’t get a ride until two weeks after I had already gone. I wasn’t worried though because he was at my college. A friend called and told me when he had been picked up. I was excited and began the countdown. 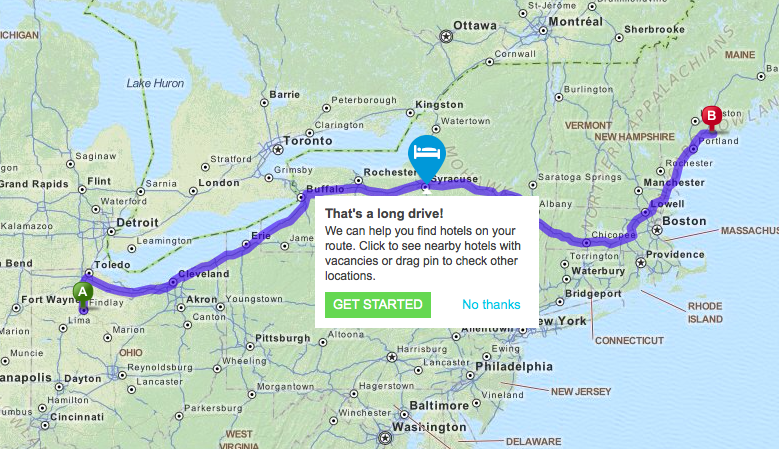 It takes about 16 hours to drive from Ohio to Maine. They told me it would be a little longer because they had other stops. One day went by. Then two (no cell phones back then). Finally on the third day a call. They would be there late that night. When Scrapper arrived I saw the rig for the first time. It was a very large stock trailer that had slant load stalls inside. They unloaded several horses to get to Scrapper. I was shocked. He looked like a greyhound. He was so drawn up I couldn’t believe it. I had raised him and had never seen him look like this. He was crusty from sweat that had dried all over his body. I was working at a barn and the lady there said I should be concerned because she doubted he had been watered. In the stock/slant set up there were no drop down windows to water horses. The hauler was in and out and didn’t ask to water the horses he had unloaded to get Scrapper off. The lady I worked for was probably right. I don’t say this to claim that there are no good companies. I am hoping that people will leave comments below telling of happy stories. That is my only personal experience with a horse hauler. Everything I have done after has been by word of mouth or done myself. If we have a horse we want hauled we look for a big show that is happening near there and find another trainer who is coming or going. I have hauled horses for other trainers in the same situation (see side photo). I know this isn’t available for everyone, I am just saying this is how I handle it. My short answer is word-of-mouth. First hand experience relayed to you by someone else. As I don’t have a lot of experience with hiring horse haulers, lets see what comments we can get here. Have you had a horse hauled? From where and to where? How much did it cost? Did the company do a good job? Would you recommend them? ← Jac wants to ride bridleless! Looking to get a price on hauling a good loading mare from the Up to lower mi. About6.5 hours. Any ideas????? I safely pick up and deliver horses in Michigan, Ohio, Indiana, Wisconsin, Kentucky, Tennessee, Pennsylvania Illinois, Minnesota and Missouri. Please call if you want it done right. 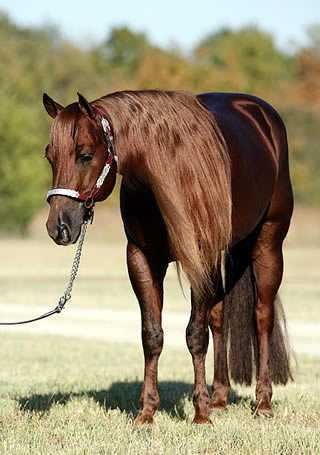 I am considering air transport for my stallion from Ocala FL to Portland OR. I got a quote from Horse Flight Travel & Transportation for $4,000 and read really good reviews. Anyone ever used that company or any other companies? My friend used Bob Hubbard many times and speak very highly of him, great service. Thank you. That quote appears very reasonable compared to my ground transportation quote from Northen Calif to South Carolina. I tried to find the website for your air transport company but, I am not sure it I located your company or not. May I please have the info for their website? Hi, I need a 13 yr. old mare Q.H picked up in Jeromesville Ohio 44840 and shipped to Faulkner Md.20632 Can you do this if so how much and price? That is amazingly cheap. Who’s the company? About Brook Ledge. I am moving my 15 year old mare from northern Cali to South Carolina. Their proposal makes sense and I have no problem with their pricing. I am concerned that they are not off loaded until they get to their Lexington, Ky facility. That’s 40 to 50 hours. They do claim to stop every 3 to 5 hours. Did anyone respond to the question on Brookledge? I received a quote from them but have the same concerns. I’m shipping from Los Angeles to Nashville. I will be using Goodpaster to transport a filly from KY to SC. Does anyone have experience with them? I purchased a horse in Minnesota and I live in Northern California. I am going to get her myself. It’s 1900 miles one way and I don’t want to gamble with her life. I have a new Dodge and 4 horse Eixs. Will be leaving in November. I am going over empty and hauling O e back. Do not use AC Equine Xpress out of Phalen CA or Western Horse Transport out of Grants Pass OR. Just had a nightmare experience where AC Equine Xpress sub-contracted the haul without my approval to 2 other companies that are not legal (no US DOT# or revolked for violations) to do interstate horse transport. The contracted 3 day trip took 8 days and they tried to get an extra $500 out of us. They never feed our horse the feed we sent along and she arrived very stressed with lots of dried sweat, sunk in the back, and cuts on the legs. I need to move 6 older Arabians (2 stallions, 3 mares, 1 gelding) from California to Ohio. I have obtained several quotes but am not sure of the caliber of the movers. 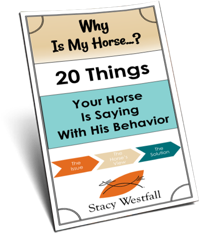 My horses have never been in a stall and never transported. Can anyone recommend an excellent hauler who can handle inexperienced horse travelers? Thank you in advance for your kind assistance. Looking for a reputable haulter from Mid East Alabama to South East Texas. Any recommendations? I have a quote from Equine Express but their timing is not ideal due to lack of trips from North Texas to South East Texas. Contact Shelly with S&W horse transport inc.
also have a Facebook page S&W horse transport inc. I am desperate to find a reasonably priced transporter from CT to CO in about a week. The company I booked cancelled on me and went out of business?? really?? Anyway, I have heard mixed reviews about Nationwide …. any information good and bad is really appreciated!!! I used Nationwide to move my two horses from the Chicago area to Western Nebraska (9 miles from Colorado) ten years ago. They were great. Horses were picked up and arrived on time – in a blizzard no less. Found out that the driver lived on my farrier’s ranch about an hour away from my stable and had been a trainer for years. We are moving back to Illinois and I am using Nationwide again. Has anyone used C-bar-C-equine-express out of TX, and can tell me about their performance? Has anyone used C Bar for shipping? We used C Bar C and it was a horrifying experience. Our horse was on the trailer 5 days and was supposed to be a direct route from IL to Ga. They would NOT communicate with us until we threatened to call authorities. We had to have a boarding facility intercept and take our horse so we could find another hauler. Our horse is directly in the middle of the two destinations. Only 6 hours from home and 8’hours from destination 5 days into the trip!! Also this was supposed to be a direct route and when the horse unloaded the trailer was full! Our horse was dehydrated and snotty and stiff!! A friend hauled for C bar C and only did a few jobs. They will not return calls or texts and will completely ignore them. They are making promises that they cannot keep. The drivers are getting chewed on because of that. And their drivers are getting left stranded because they are not being paid like they were told, as well as being sent all over the country and using up way more fuel than needed because of the way the pickups/deliveries are being done. You can’t run a company like that. This driver has had many great compliments but not so much for the company. I need 3 horses transported from Klamath Falls Or to Palmer AK, must be a reputable company with lots of experience crossing the borders. I have already tried A-! and All Pro, both are not available at the time I need. Looking to transport first week of May. I need to transport my mare from Arkansas to Northern California this month. Can anyone recommend? We need a box stall and some stops along the way. How did you make out and who did you use? I’m looking for transport from NY to NC in a month. Any recommendations for reliable hauling from Salt Lake City Utah to Driggs Idaho? I am certainly watching this thread. I recently moved to Kentucky and now need my gelding transported from Central Florida to Paducah Ky. I thought this would not be a difficult route, but am having a hard time finding a reputable company. CMP Equine Transport. They hauled my horse when I bought him from western Indiana to northeast Ohio. Chris did a great job. The horse was picked and delivered in the promised timeframe. I received a call when he was picked up and then when they were enroute with an estimated arrival time. The horse arrived in great shape. I am so happy I found this site and thread! We are moving from the Upper Peninsula of Michigan to southern Missouri and need to find a reliable company to haul our 3 horses. It’s hard to find someone willing to come up to the upper peninsula! Can anyone recommend someone? Could you recommend a reliable transporter to relocate 2 horses from a town near Knoxville Tennessee to Fort Wayne Indiana? I shipped my pony from Fort Wayne to Georgia with C&E Transport. They were fabulous. I have shipped three ways this year. Once myself. Five days from Utah to Indiana. (never again) Once via C&E from Indiana to GA. They were fantastic. Once with Nation-Wide Horse Transport from Utah to Georgia . They took 8 days, which seems like a lot but they had the horse on a four day layover in Colorado while they gathered horses from various areas for the transport to Georgia. They were very professional and willing to answer questions. I liked my experience with C&E best, but they don’t ship on the west coast or western states. 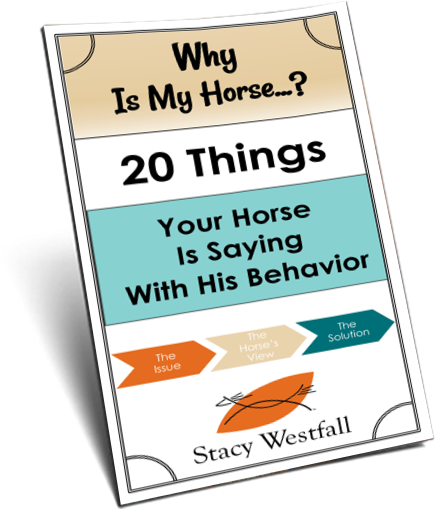 My attitude is, when shipping horses, no news is good news so long as you are shipping with a reliable and reputable company. You can check online for a company’s accident rate and there is a certifying organization for horse transporters.